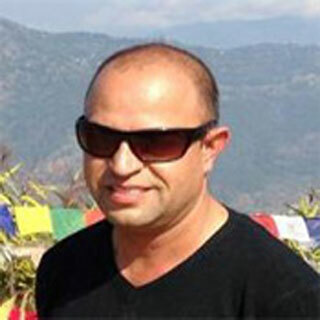 Founder & Managing Director Raj Kumar Thapa: Founder & Managing Director of the Company and has over 15 years professional experience in travel and trekking field. Raj has spent the entirety of his career in the travel & trek organization. He is passionate about providing meaningful travel experiences that leave people with a sense of wonder with the natural world. Raj is also a strong voice for Wild life and Environmental conservation as it is a lifestyle and a mission for him. Beside his great experience he was honored with many awards related to travel and tourism. In 2011/2012 he was honored with TOURISM APPRECIATION AWARD 2011. He is also a Master Degree Holder in Rural development and has written Thesis in this subject too. Kim Dugan Lama: He is Owner as well as Marketing Director of A1excursion Tours and Travels. He is also owner of Hotel Vajra in Kathmandu. He completed his degree from Colorado University. Friendly and knowledgeable, Kim is a huge asset to the A1 Excursion Tours. 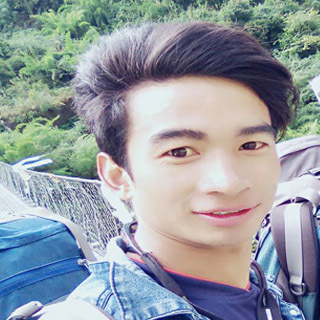 Rabindra Thapa: Senior trekking Guide and Transportation Officer of A1 Excursion is a professional outdoor Guide and adventurer. Guiding the Himalayan Region of Nepal is one of his favorite occupations, as he absolutely loves sharing his passion for adventure with others. There is nothing he would rather be doing than sharing the beauty of the mountains and natural beauty of himalaya kingdom with others. 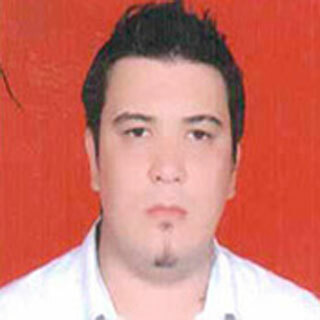 Binod Shamser Kunwar: He is a member of accounts department and look after day to day transaction of company. He joints company in 2015. He belongs from Kavre Palanchowk Distict and he has completed his Bacherlor lever in BTTS (Bachelor in Travel and Tourism Studies) and pursuing her Master level studies in Travel Tourism and Hotel Management in Kathmandu affiliated by Purbanchal University.He has more than decade year of working experience in Tourism Sector as Accountant. 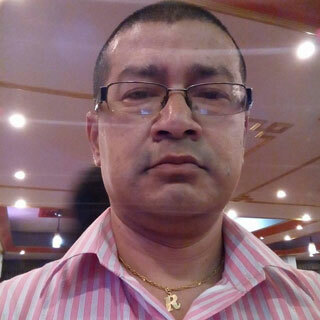 Mr. Dip Chandra Kalika: Dip Chadra was born in Kathmandu-35, Sinamangal Town Planning, Nepal on 18 January 1974, have married with two children. He has complete his bachelor degree in shankerdev Campus under the Tribhuban University in commerce. He is very professional Tour/trekking leader and has been working for more than decades in tourism filed. He also have working expereince in Royal Wildlife Camp, Sauraha Chitwan National Park as a Marketing Manager since 1996 to 2000.Likewise from 2000 to 2002 he work as marketing manager in Hotel Jungle world Nepal. He srarted working in A1 Excursion as a Team Leader/Tour Leader/& Trekking Leader since 2009 as a Freelancer Englsih Speaking Tour/Trekk Leader. Also he invoved in socail work as a volunteerail -Provided social help for the earthquake victim in different part of Nepal such as sindhupalchok Kavre, Kathmandu Airport. 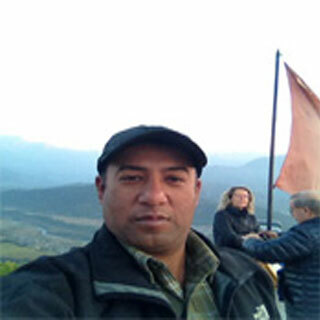 Mr. Kabindra Prasad Dhaubhadel : Kabindra was borm in Bhaktapur Municiplity on Nepal and workiing as a tour/Trekking Guide in A1 excursion Adventure Pvt. He is specialse in Italian and English and rich knowledge about cultural, History and geography. He has done many trekking trail himself. he is genuine and hard working too. he has been working more than decades in Tourism fields. 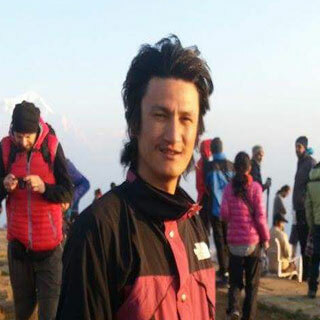 Mr.Pasang Dorjee Sherpa: Born in Makalu of Sankuwasava district in 1983, Pasang Dorjee Sherpa has completed his school level studies and has been working as a trek guide for more than 10 years now. He has been a part of A1 Excursion since 2008. In his long span of trekking career he has experience of trekking in almost all the famous trekking regions of Nepal and also on an expedition to some of the peaks above 6000m. He is fluent in English, Sherpa Language and Hindi other than his mother tongue Nepali. 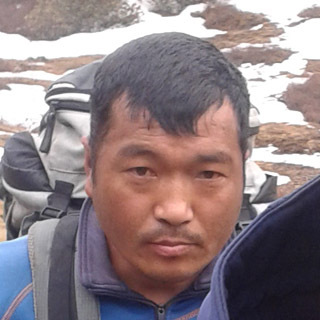 Mr. Dawa Gyanjen Sherpa: Mr. Dawa Sherpa has been involved in the trekking guide profession for more than a Decades. He started his career in trekking being a porter and then in few years due to his hard work he was promoted to Porter guide and now is working as a trekking guide in A1 Excursion. There is not any doubt that his service is tremendous. He has good communication skills and is fluent in English. He takes on any mission with extreme care and excitement. His wonderful service to our team is immensely appreciated. 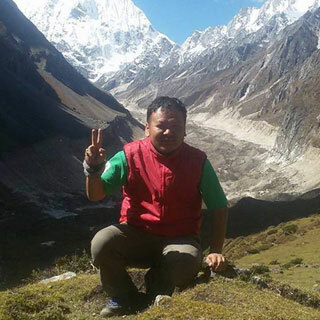 Mr. Samir Thapa Magar: is one of the friendliest guides that you will come across during your trekking period with us. He has been in this tourism field since 2010. He belongs to the beautiful Village Lhubu of Nepal. In all these years , Samir Thapa has led several trekking Teams across almost all the hiking trails of Nepal. Pasang Thentuk Sherpa capable trekking guide. Having acquired a wide-range of trainings and becoming a licensed guide from the Ministry of Nepal Tourism he has been working effectively with our company. 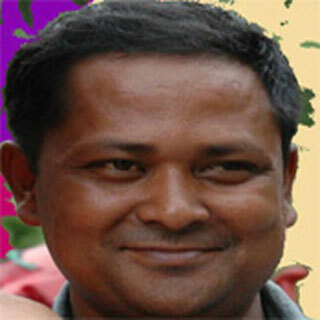 He is also a familiar face in the tourism industry of Nepal, having many years of work experience in similar fields. He brings with him expansive experience and a willingness to assist visitors with professionalism and dedicated service. His friendliness and hospitality will definitely make your visit to Nepal a memorable one. 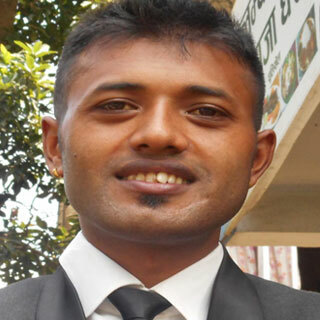 Rupesh Ale Magar is born in Gorkha, Nepal.